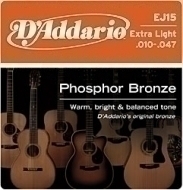 D'Addario EJ15 - phosphor bronze roundwound strings set for acoustic guitar. 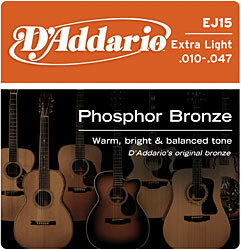 Clear transparent tone. Gauges: 010-014-w023-w030-w039-w047.